There is nothing more comforting about nutrition than buying from a company with a "NO B.S." motto. RX Bars knows we care about what's inside, so they put their core ingredients right on the label. All bars' core ingredients consist of: egg whites, fruits and nuts and come with their one-of-a-kind "NO B.S." promise loud and clear. 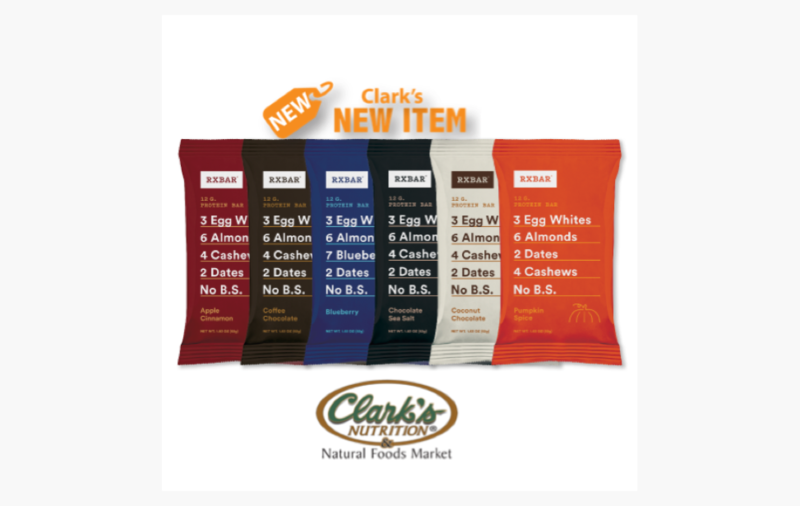 These tasty bars are now available at a Clark's near you.